Farming fish is no different to normal farming. In fact, it helps to think about similarities with chicken farming, as funny as that may sound. 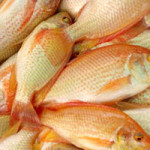 Fish farming or aquaculture is all about producing fish as cost efficiently as possible. This is not as simple as it sounds. Firstly you have to appreciate the environment in which you intend farming your fish. 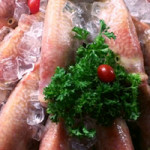 In exactly the same way that you would not farm pineapples in Iceland in the natural environment you might not be able to farm certain species of fish in your specific location. The reasons for this are both simple and complex. Fish live in water and the watery environment is a complex mixture of different parameters that all affect the growth of the fish. 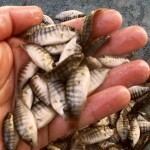 Temperature, for instance, is one of the biggest influences on fish growth rates. Even just a small variation of 3 to 4 degrees Celsius can dramatically influence the growth pattern of your chosen species. Water quality and availability is also an influence. It’s no good having the correct temperature of water if the pH is no good for the chosen species. Or if you only have 100 litres of water to begin with. In order to farm fish you do need the perfect environment. The closer to perfection you can get, the greater the productivity. 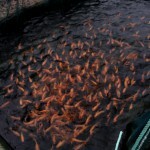 There is a famous saying among Koi keepers – they say that they keep good water first and Koi second. It serves to illustrate the point. If you don’t have excellent water you cannot farm fish. The other saying that we at Rydawi have come up with is that always and everywhere fish farming (or aquaculture) is a localised business. What this means is that maximum advantage of your location needs to be examined and used. Farming pineapples in the Eastern Cape can be done cheaply and hence profitably – the same is not true of it in the Karoo. 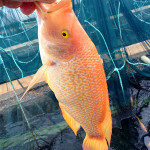 Then of course there are the various different production techniques that can be applied to aquaculture. If you have a massive temperature stable body of water within affordable access (preferably free) can it be used to produce fish? What if you have a river nearby? Or a super strong borehole with low cost power to access the water? Do you want to farm with fish in cages? Or in large earth ponds? Raceways or flow through systems? 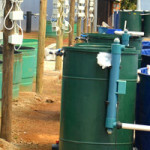 Or Recirculated Aquaculture Systems (RAS)? These are all questions that you need to answer before you begin. And then you also need to decide at what scale you want to farm – in other words, how many fish you want to produce, or what turnover/profit you would like to generate. Remember that you are farming now and farming means 24/7 production 365 days a year. The closer you can get to this the more money you can make since your fixed costs remain the same over the course of a year. We’re here to give you the reasons why we think that the Aquaculture Production Unit that we sell is a good tool for you to learn how to use to extract the maximum value from your fish farming enterprise.